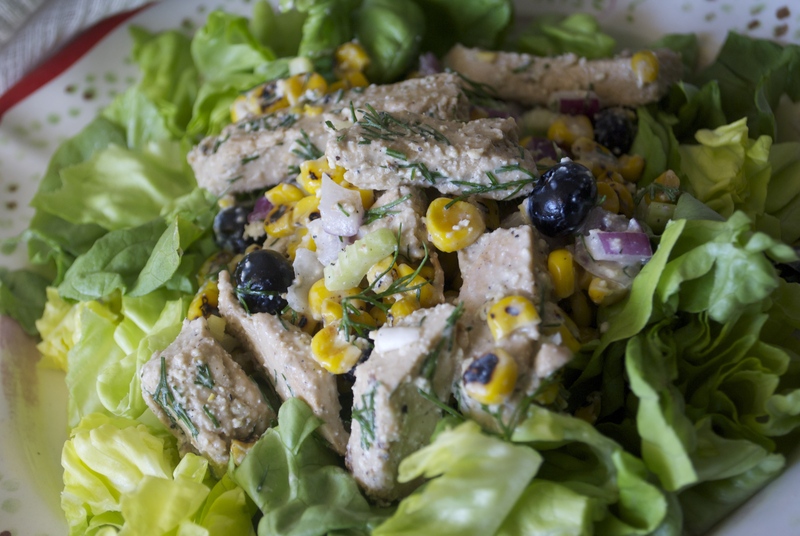 Blueberry-Beyond Meat Chik’n Salad with Corn + Dill among other goodies on a bed of lettuce. Light and summery and perfect for a hot day. 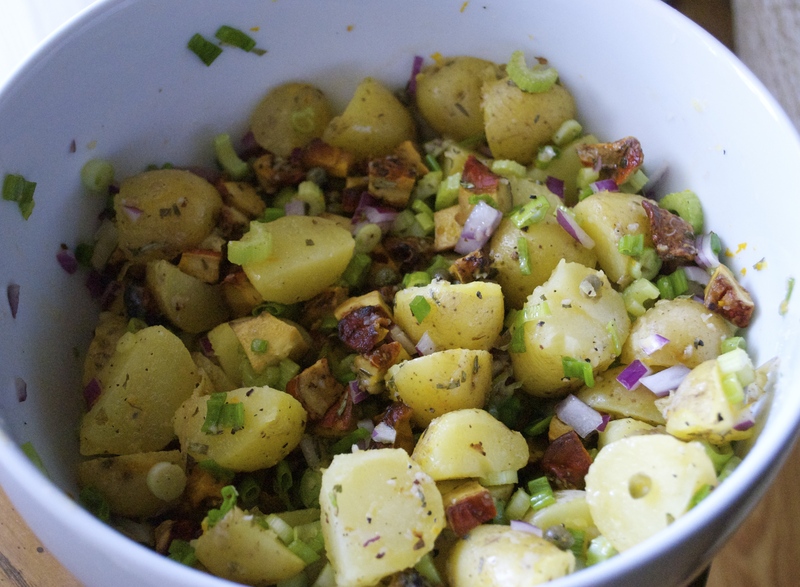 Lobster Mushroom Potato Salad, mayo free. 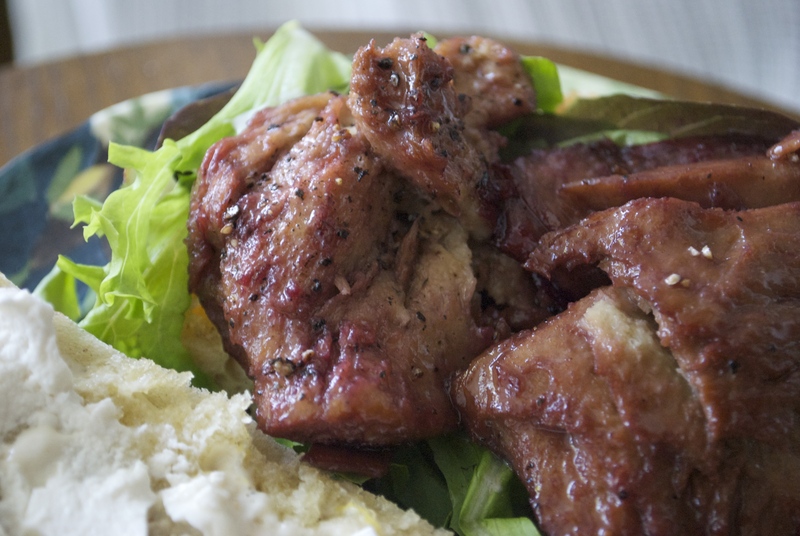 Elderberry Glazed Duck Style Seitan, made with wild, foraged elderberries that I collected myself and turned into a sauce (as they are NOT to be eaten raw). I used these “duck” cutlets to create a simple sandwich on (vegan) butter toasted bread, with Kite Hill‘s soft white original almond cheese. 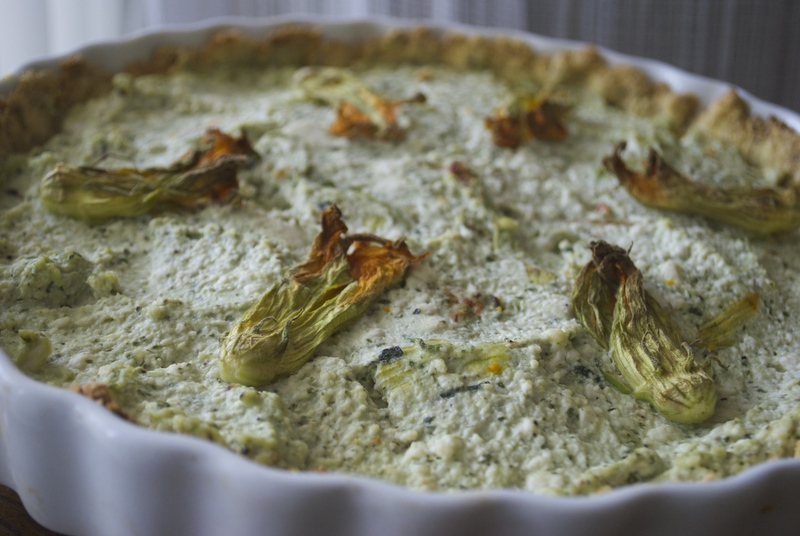 Squash Blossom + Almond Milk Ricotta Quiche. 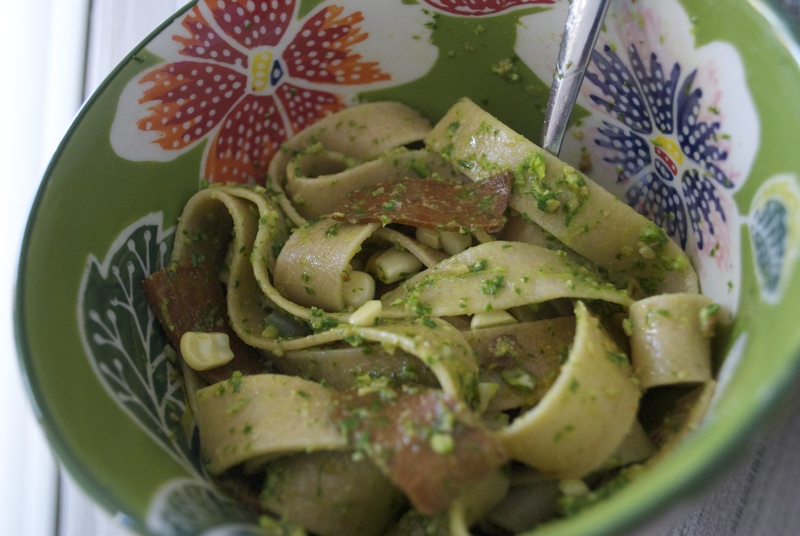 Whole Wheat Pappardelle w/ Vegan Pancetta, Corn & Arugula Pesto. This masterpiece. 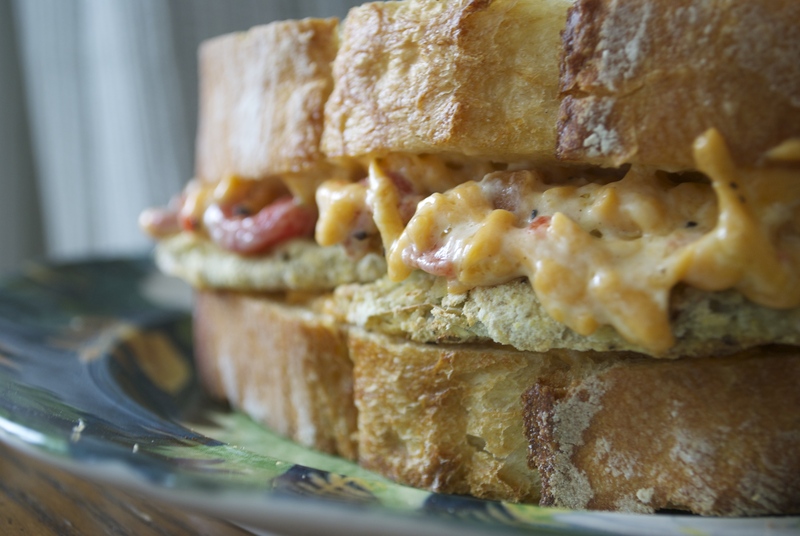 Inspired by A Cozy Kitchen blog, this is a grilled cheese with oven fried green tomatoes and homemade vegan pimiento cheese. Kinda wanted to eat this for the rest of my dang life. 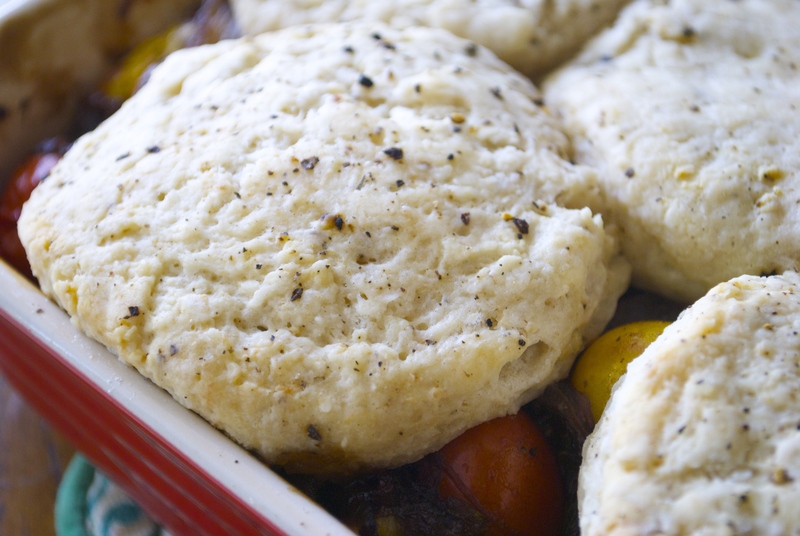 Caramelized Onion Tomato Cobbler w/ Blue Cheese Biscuit Topping, inspired and veganized from Joy the Baker. 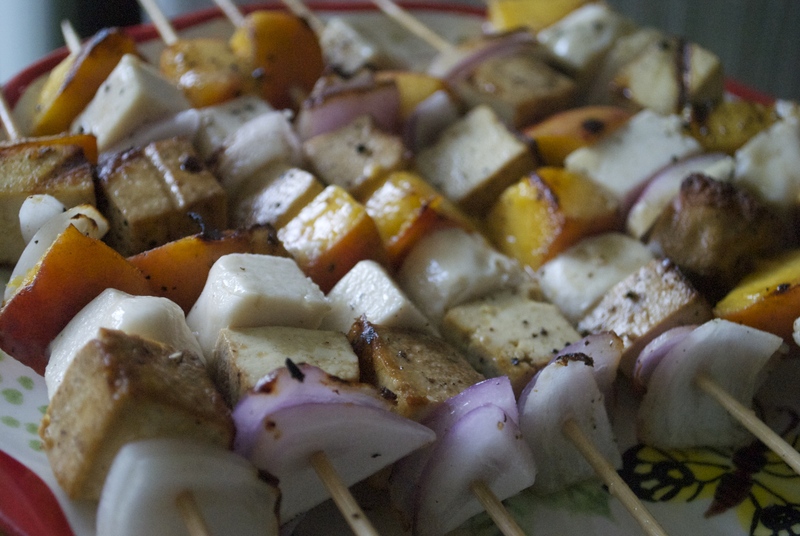 Summer Skewers with Smokey, Savoury Baked Tofu, Vegan Cheese, Red Onion and Sweet 49er Peaches (picked by me), then grilled to perfection. 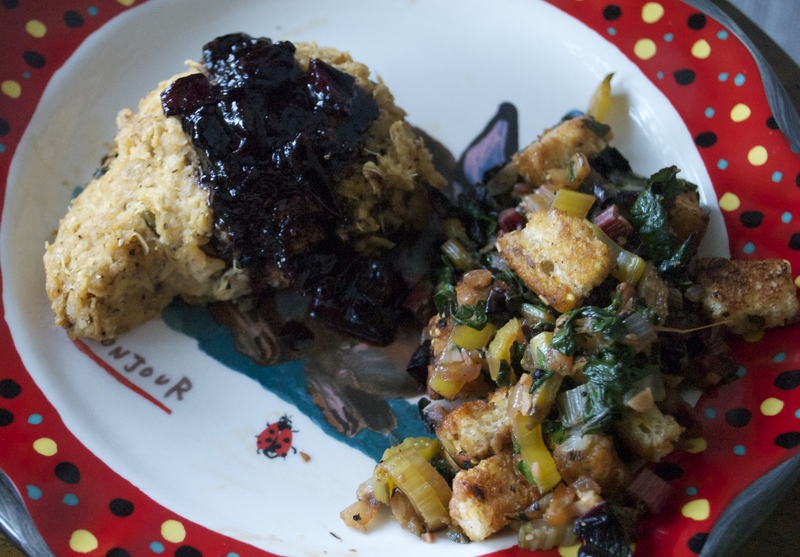 Vegan Porkchop stuffed with Rainbow Chard Stuffing, smothered with Plum Sauce (plums picked by me) with a side of more stuffing. Veganized from Eat the Love. 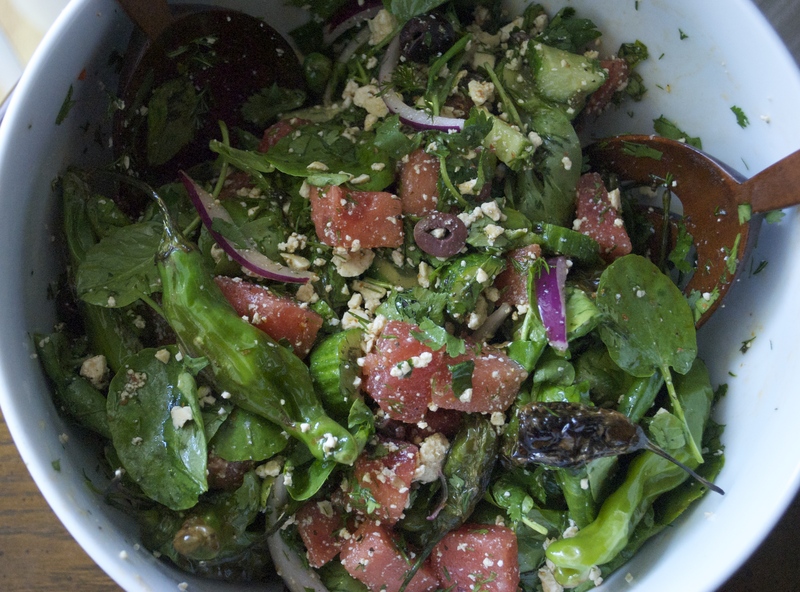 Watermelon Salad w/ Charred Shishito Peppers, Vegan Feta, Olives, Onion + Cucumber. I’m now sufficiently hungry and ready for lunch. I’m almost caught up and will bring more recipes and pictures soon (Hawaiian + regular) to share with y’all. Look! I blogged twice in one week. Yay. ← Vegan Portuguese Bean Stew.